Criminal Defense Attorney Thomas Kokonowski Massachusetts Heroin Laws | Law Offices of Tom Kokonowski, Esq. 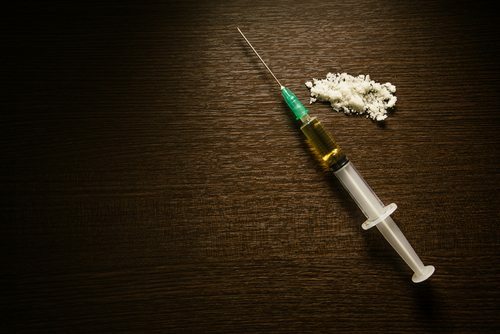 Massachusetts Heroin Laws | Law Offices of Tom Kokonowski, Esq. Posted on : October 26, 2016, By: Tom Kokonowski, Esq. In Massachusetts, heroin is more regulated than marijuana or even cocaine. If you are charged with a crime related to heroin, obtain legal representation as soon as possible. Additionally, the penalties for a conviction are harsh and can have a negative impact for the rest of your life. The possession of heroin, even in a small amount, is a felony. For example, a first offense means a 2 year incarceration and/or a $2,000 fine. Typically, judges impose both time behind bars and a fine for a heroin charge. For a subsequent offense, you face a minimum of 2.5 years behind bars, and potentially up to 5 years. Also, you may be required to pay up to $5,000 in fines. It is difficult to know if an individual with heroin intends to sell it, since heroin can be sold in small amounts. Even if you were simply possessing the drug, you may get charged with selling heroin. The penalties are at least 2 years in jail with a 10-year maximum. Also, you face a fine that ranges from $1,000 to $10,000. The penalty’s stiffness depends on how much heroin you had at the time of your arrest, or how much you were caught selling. The possession of 14 grams or more of heroin is automatically considered trafficking in Massachusetts. Trafficking between 14 and 28 grams of heroin can result in a penalty of 5-20 years incarceration with a $5,000 to $50,000 fine. For higher amounts of heroin, you face up to 20 years in jail with a minimum sentence of 7, and a fine of $10,000 to $100,000. A key defense in a heroin charge is getting the evidence omitted from court. If the police illegally searched you, the heroin will not be brought into court as evidence. If you are charged with selling heroin but possessed a very small amount, the charges may be reduced. No matter what, it’s critical that you have an experienced and zealous drug crimes attorney on your side. Contact the Law Offices of Tom Kokonowski today for more information on how to build a solid defense against serious heroin charges. We are available to speak with you and will help you gather the evidence you need to meet the prosecution head on. Call now at (413) 585-9200 or (413) 549-0022.